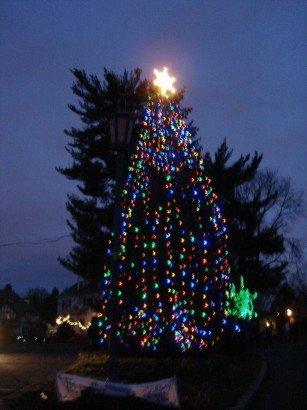 The Greater Gladstone Civic Association (GGCA) hosts several events each year, including a contingent in the Lansdowne Fourth of July parade, followed by a neighborhood picnic on the Island at Walsh and DeForest Roads; a fall or Halloween activity; and a holiday tree lighting. 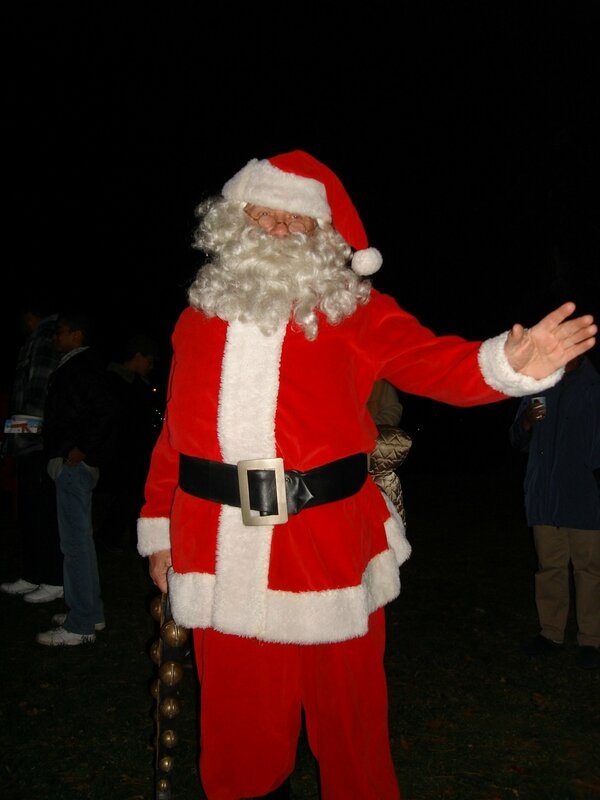 In addition, the Mansfield Brass Quintent holds an annual Caroling Under the Streetlights one weekend night before Christmas and the Santa mailbox returns each December for mailing all important letters to the North Pole. Mansfield Brass Quintet To Go Caroling In Lansdowne – Their Twentieth Year! The Mansfield Brass Quintet will be playing Christmas Carols outdoors in the Gladstone Manor section of Lansdowne, PA on Saturday, December 15, 2018 from 6:00pm to 8:00pm, weather permitting. The Gladstone Manor section of Lansdowne has updated it’s very picturesque turn-of-the-century style street lamps with a newer, brighter, and more energy efficient style. The Mansfield Brass, so named from the street that it’s leader Paul Del Rossi lives on, will be playing Christmas Carols under these beautiful street lamps. Paul plays trumpet in the quintet and has been providing the neighborhood with Christmas Carols the Saturday prior to Christmas day for the last twenty years ( except for a blizzard that happened about 8 years ago ). In fact, the Mansfield Brass was born twenty years ago performing this unique traditional Brass Choir Christmas event. This year is going to be terrific as it will feature the full 5-piece brass group instead of the 3-piece group of it’s early years. The Mansfield Brass will include Carolers again this year, for the tenth year in a row, to accompany them and help celebrate their twentieth year. The original Salvation Army arrangements of the classic Christmas Carols will be used for everyone’s enjoyment. These arrangements are truly unique and have a most unusual harmony. They are rarely heard at Christmas time with the full instrumentation of the Brass Quintet for which they were written. Many new arrangements of more popular and contemporary carols have been added to the Christmas Carol book. Tunes like Snowmiser, I Saw Mommy Kissing Santa Clause, Jingle Bell Rock, Santa Baby, and many more! There will be no charge for the event but you may have to drive around Gladstone Manor to find the Mansfield Brass, as they will be traveling from street light to street light. They will start under the light at the corner of Mansfield Rd. & Madison Ave. They will then travel down Madison Ave. to the Gladstone Train Station ( Septa R3 Media/Elwyn line ) and then up Walsh Ave. They will finish at the entrance to the community where the large Christmas Tree was recently lit to signal the start of this festive holiday season. If you want more information about the event or about the Quintet, which is available to play all functions, please call Paul at 610-284-2980 or go to their website at www.MansfieldBrass.com. Come one, come all, take a break from shopping to get into the Holiday Spirit and enjoy the music! 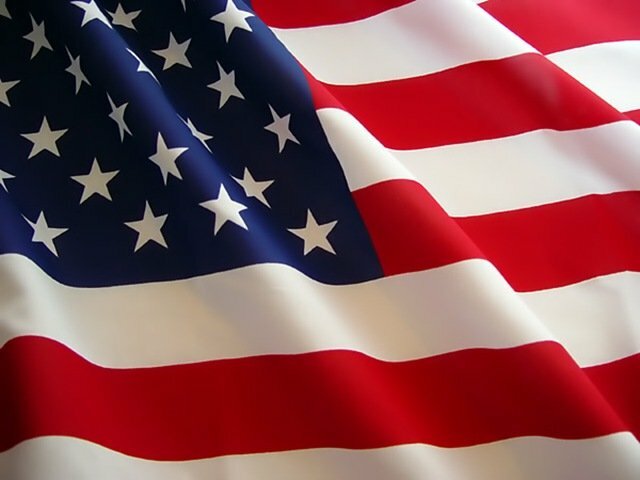 Please join your Gladstone neighbors as we represent the Greater Gladstone Civic Association (GGCA) in the Lansdowne July 4th parade. The GGCA formed in 1927 and is the only remaining active neighborhood civic association in the Borough. Let’s do the neighborhood proud with a strong showing. Plan to arrive at 8:30a.m. on Wednesday July 4th at on E. Greenwood Avenue between Hyland and Wycombe Avenues. Look for the GGCA banner.